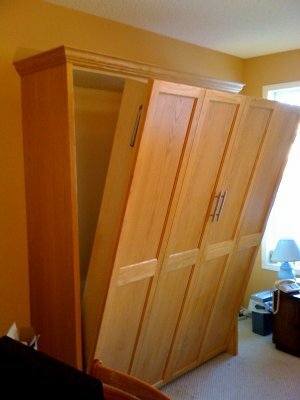 Murphy beds are a great way to make good use of valuable space! Whether you're looking for a standalone bed unit, or a matching complement of cabinet, desk, or closet space, we can help! Cutting Edge offers a selection of Murphy beds in a variety of sizes, styles and finishes.